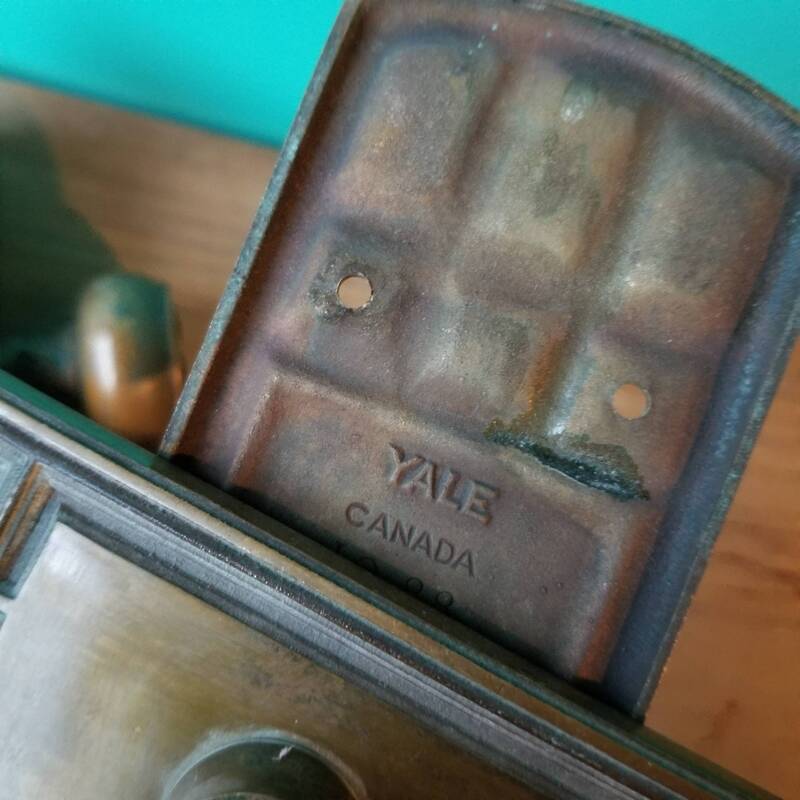 This vintage pair of Yale door knobs will give your home that touch of rustic charm. 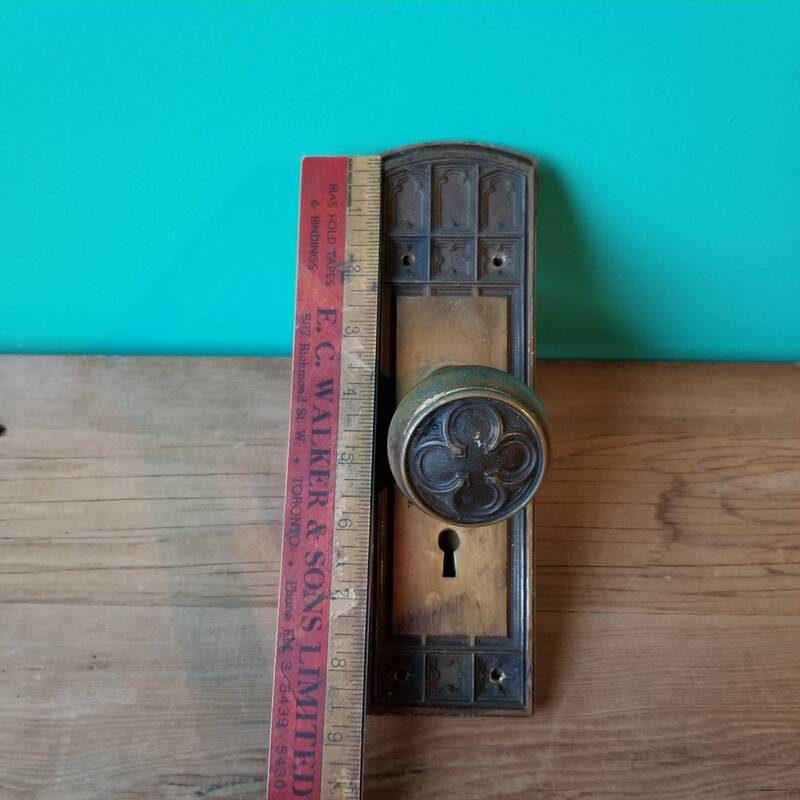 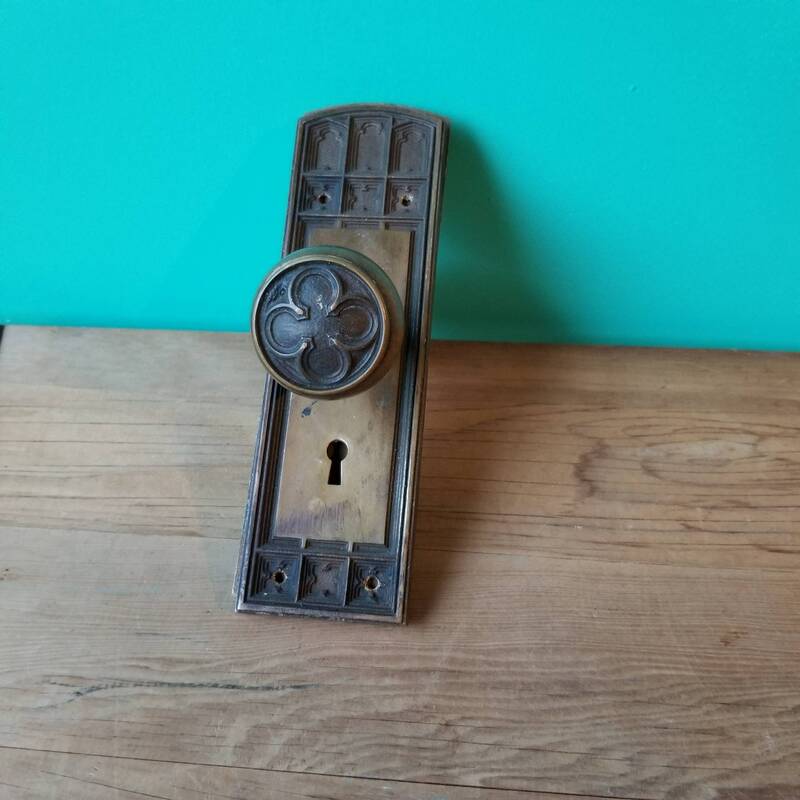 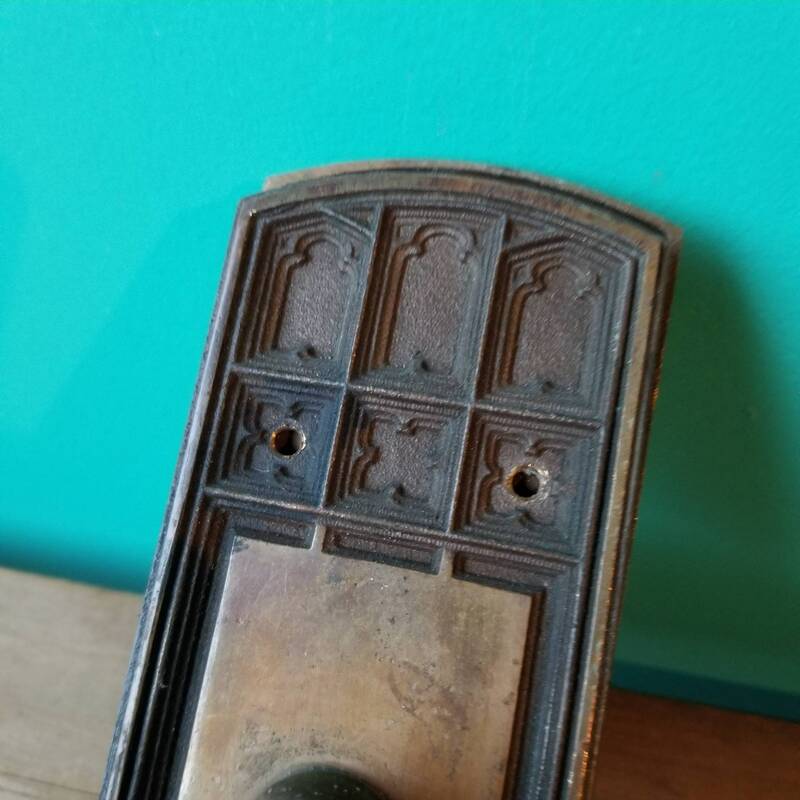 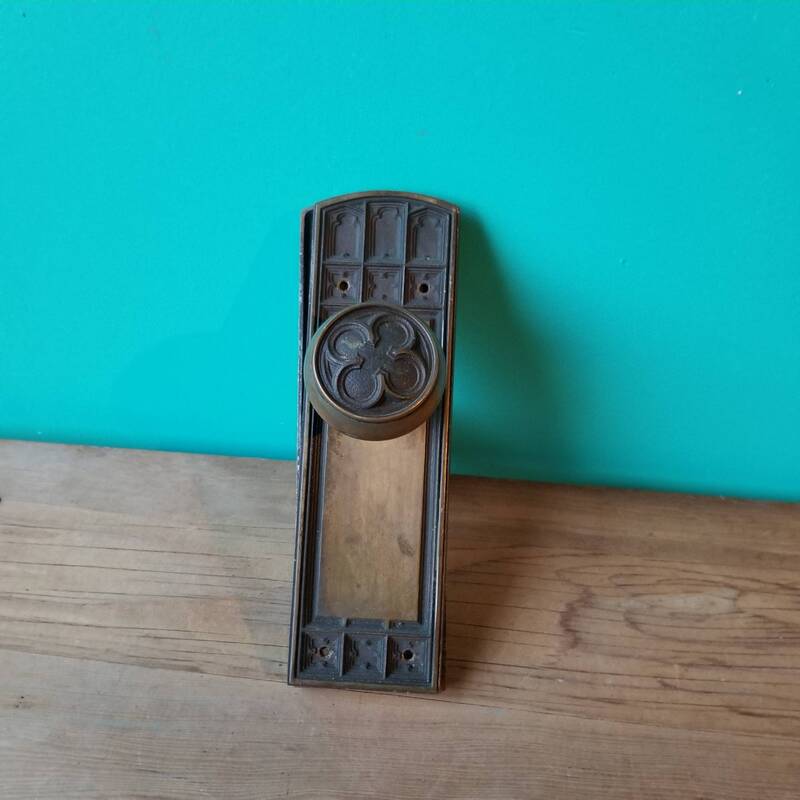 A brass door knob and key plate on one side, and a matching blank plate for the other side of the door. 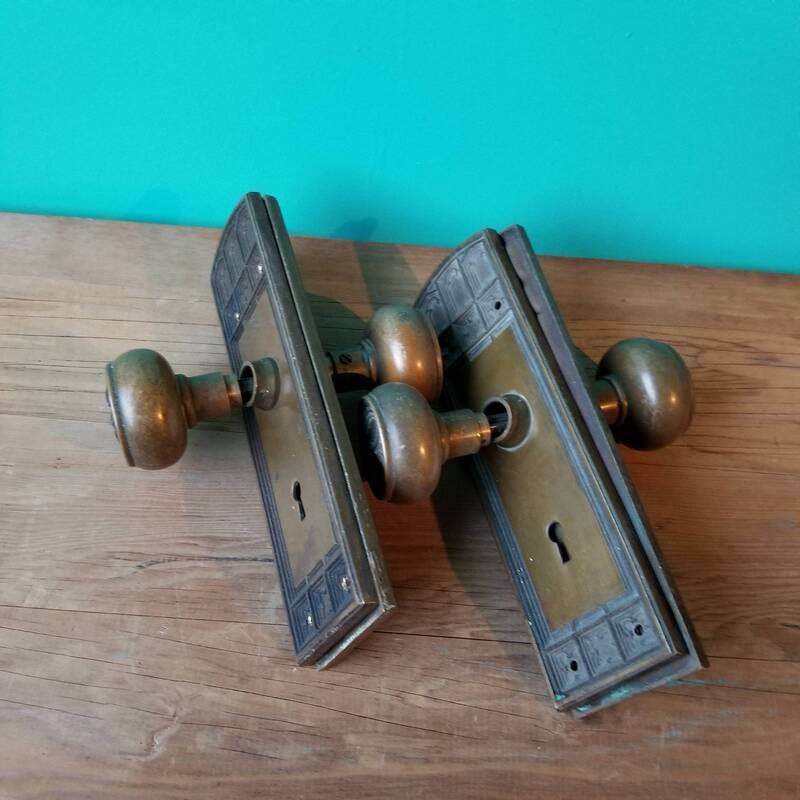 Comes as a pair of two sets of door knobs.